A natural drainage-way that is formed into a smooth and shallow channel that is planted with grass. 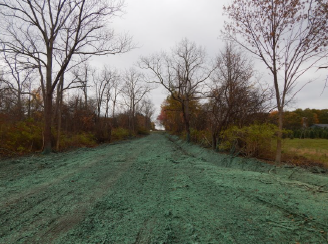 It is used to direct the surface runoff from an area into another waterway or water body. 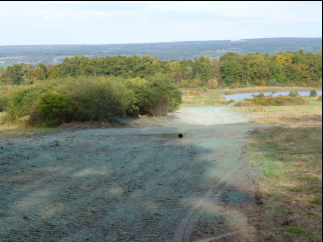 A channel constructed across a slope to collect water and divert it to a stable outlet and protect an area downslope. 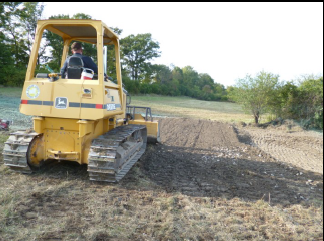 Tilling and planting across the slope following the contours of the land and breaking the fields up in alternating rows of hay or small grains. This technique helps slow runoff and letting the water infiltrate and filter sediment. It is also easier on farm equipment and reduces fuel consumption. 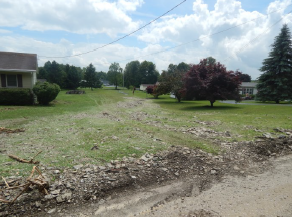 A drainage way in the Town of Catharine was overwhelmed in the June flooding event. A significant watershed drops down off the adjacent hill side and into a large culvert under McDowell Street. 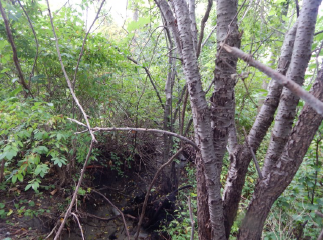 It was then necked down into a 180’ of 18” plastic culvert, that just couldn't handle the volume of water for this watershed. 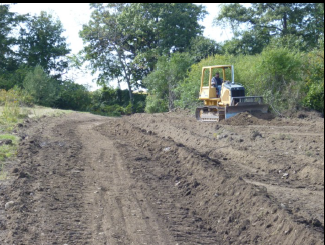 We removed the 18” culvert pipe and installed a waterway. 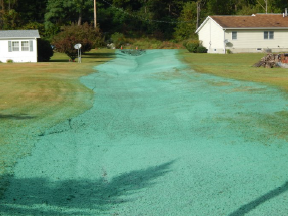 This was a joint effort with the Town of Catharine Highway Department. 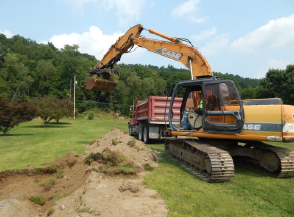 After this June’s floods it was brought to the Town of Readings at-tention that a drainage easement existed just off of New York State Route 14A that detailed life maintenance of the waterway by the Town of Reading in exchange for a land transfer that occurred many decades ago. This waterway had grown up with immense vegetation essentially blocking off the entire waterway. 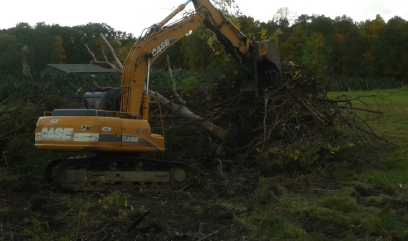 We were able to utilize the Town of Hector’s excavator, our own dump truck, the County Highway’s bull dozer along with our own operator and an operator from the Town of Reading to re-establish this waterway and make it so it can be maintained into the future. 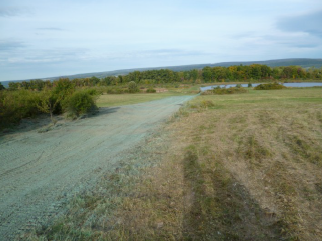 The Soil and Water Conservation District and its operator, Jim Barrett, were able to construct a substantial grassed waterway and crossing area on the Specchio property in the Town of Reading. 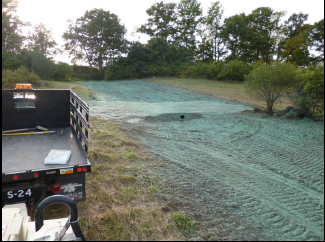 This project helped to alleviate erosion issues caused by a concentrated flow from an upslope tile drain outlet.